The Eagles are an American rock band formed in Los Angeles in 1971 by Glenn Frey, Don Henley, Bernie Leadon and Randy Meisner. With five number-one singles, six Grammy Awards, five American Music Awards and six number one albums, the Eagles were one of the most successful musical acts of the 1970s. At the end of the 20th century, two of their albums, Their Greatest Hits (1971–1975) and Hotel California, were ranked among the 20 best-selling albums in the U.S. according to the Recording Industry Association of America. Hotel California is ranked 37th in Rolling Stone's list of "The 500 Greatest Albums of All Time" and the band was ranked number 75 on the magazine's 2004 list of the 100 Greatest Artists of All Time. They are one of the world’s best-selling bands of all time, having sold over 150 million records—100 million in the U.S. alone—including 42 million copies of Their Greatest Hits (1971–1975) and 32 million copies of Hotel California. They are the fifth-highest-selling music act and highest-selling American band in US history. 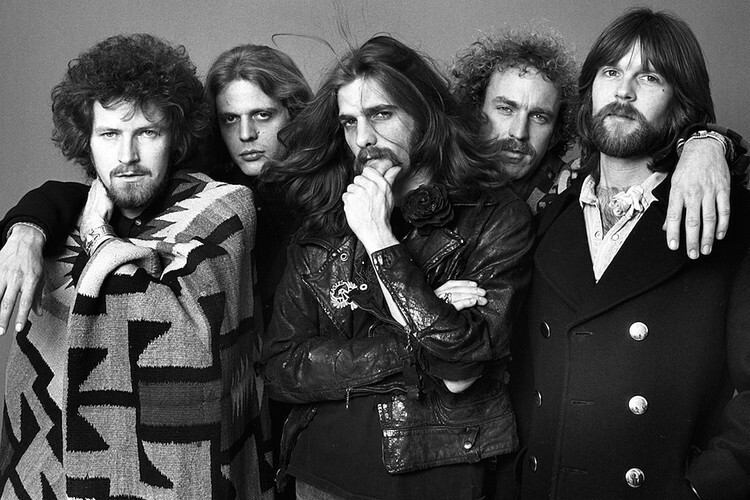 No American band sold more records than the Eagles during the 1970s. The Eagles released their self-titled debut album in 1972, which spawned three top 40 singles: "Take It Easy", "Witchy Woman" and "Peaceful Easy Feeling". Their next album, Desperado (1973), was less successful than the first, reaching only number 41 on the charts; neither of its singles reached the top 40. However, the album contained two of the band's most popular tracks: "Desperado" and "Tequila Sunrise". They released On the Border in 1974, adding guitarist Don Felder midway through the recording of the album. The album generated two top 40 singles: "Already Gone" and their first number one, "Best of My Love". It was not until 1975's One of These Nights that the Eagles became arguably America's biggest band. The album included three top 10 singles: "One of These Nights", "Lyin' Eyes" and "Take It to the Limit", the first hitting the top of the charts. 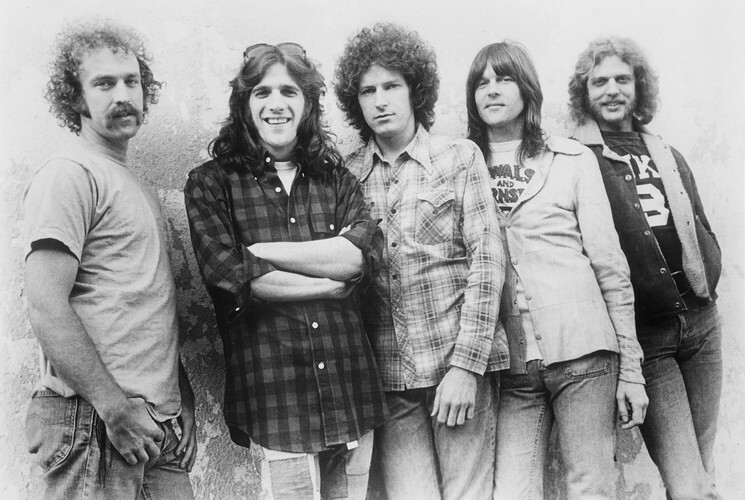 They continued that success and hit their commercial peak in late 1976 with the release of Hotel California, which would go on to sell over 16 million copies in the U.S. alone and over 32 million copies worldwide. The album yielded two number-one singles, "New Kid in Town" and "Hotel California". They released their last studio album for nearly 28 years in 1979 with The Long Run, which spawned three top 10 singles: "Heartache Tonight", "The Long Run" and "I Can't Tell You Why", the lead single being another chart-topping hit.